As a Consciousness Educator I share with others about a different way of engaging life. It is about introducing people to the awareness that what they take for granted, their thinking, forms energetic patterns that manifest as their life. And, how it is possible to manifest some thing different if wanted. It is about the moment, this moment and how this moment is directing our next moment creating a reality that you may like or not enjoy so much. It is about what is within each of us, our authentic inner voice. It is our sense as Consciousness, an active, vibrant state of potential that is beyond time and space, inclusive of all. It is always present yet we may not recognize it or notice it. You probably wrestle with it now and then. If you have a habit of talking yourself out of what feels good to you your mind perhaps is at work overriding your intuitive awareness. Our bodies feel solid. Our thinking and emotions seem so certain. But, the truth is that we are mutable material. We are life forms constructed out of light photons, a bit of bio mass photons, resonating in vibrational information we call patterns. They make up our stories of being in our realities. We embody many different realities and collective realities all at the same time unaware of formation or existence. We are creatures of a mind that is constantly making choices, usually the same ones. Much of what we call "me" or "self" is a collections of patterns of habituated thoughts that lead to predictable outcomes that provide a comfort of sorts, the way we express our humanity. There can even be comfort found in our negative thoughts and feelings that hold us in place. We have been trained to judge thought more important than that inner voice. I am not a scientist of deep study of anything other than my own personal experiences and observations of those around me and my metaphysical tuning or higher state awareness. I have always been conscious of feeling energies around me in me.I have picked up bits and pieces of knowledge over the years. I value education and have spent a lifetime aware of how book learning knowledge and what I just "knew" agreed and then didn't. Personal and collective history is alive in each of us. I now appreciate knowledge as a whole lot of hearsay, and conjecture and "well, what else could it be" kind of thinking. We explore the holographic interaction of truth and fact, the difference in belief and being. Knowledge is so often based from assumption, formed by someone who observes something at play from a particular perspective and proclaims it is so. So, it must be and the rest of us let it be. There is no need to question just accept. And after years of assumption, presumption and no questioning, it now is real because of the malleable nature reality is. Think it and so it is. When we access ourselves as Consciousness I ask my clients and fellow travelers in group what they notice from a now neutral placement where information is not attached and set in stone which is different than their trained reaction of thinking. I ask what is wanted and we enjoy watching what unfolds right then and there. What we all notice is that the answers are right there for others to notice when we might not. We can have it set up to not be aware of them. There can be blind spots present. We don't even recognize our questions sometimes or that we have the ability to ask one. We might hold confusion or the "I don't know" which is often an automatic response as the state that is holding us hostage from our inner awareness. When we clear this the reply to our question that is our issue is present. One challenge is that we have often been trained that others know more than us, about us, that it isn't safe for some reason or feelings overwhelm so we listen to others. We are queasy about our voice so instead we look to match up their answers to our unasked questions about life. This can be sort of hit and miss. If we are lucky those others can really be helpful and valuable in empowering us on our adventure as we give meaning to being alive. Many of us may know our issues and factors and patterns in our stories and it is not enough. We can't seem to find the mechanism to engage a change or bring the awareness into fruition. That too is a state of reality that can be different. I am offering online using Zoom video conferencing live interactive groups where we play and explore our lives effecting real change in what is challenging us. I help you create easy access to this Heart Centered Awareness if you are new to consciousness technologies. There we play in a group dynamic of shared support, appreciation and expression. Fuzzy Photons Playground Groups are meeting on Thursdays at 10am or at 6pm both Pacific. It is about as good as a group dynamic can be with participants not local to each other. We feel our connection as we can see each other visually and feel the energies present. Tailored to what is showing up in each of us and the collective we enjoy time clearing internal confusion. Consider joining us. See how we can help you make effective change in your concerns and life, in the moment. We do it all the time. Contact me at janetb@janetandbeyond.com or go to my website www.janetandbeyond.com and check us out and get all the details. How we connect to one another is the foundation to much of what is at issue right now in these turbulent and productive times for us as humans. Uproar invites releasing old stuck energies that we have all been holding deep within. It is essential to changing how we are in our systems of community and society to understand what we are inside as we relate with each other. We are not meant to be free of our emotional connections. Logic will never override emotional dynamics. but is meant to run parallel, in tandem with one another. Remember it was when both Captain Kirk and Spock worked together appreciating each other's emotion and logic that the Enterprise was in good command and a safe and happy ship. So it was not so surprising when the notion of love came up in group this week: No matter the form love is in, agape or romantic it is about connection and at our core. It is in our chemistry how well we foster connection. So take a moment if you would and shift your awareness to your core and notice what you notice about love. Many considerations and conditions were mentioned as we opened up as Consciousness in group. We started with our awareness of love and what we call love. What does it mean, to love? Did this questioning mindset come from within knowing what love is or if it is in knowing what love isn't? What is love? Love. It is a state of emotion, a feeling of deep affection. It can be felt as putting others before oneself to the cost of one own life. It has no conditions. It is neither unconditional or conditional but that is the way we have organized it. We can love someone and yet not like their behavior. Most of us have been filled with words of love that have nothing to do with love but some conditional form of it. I will repeat myself. Love has no conditions. If it can be held back or based on performance it is not love. We are beings of connection and relationship. It is instinctive to do all we can to know what love and care is. Doesn't matter if it is a street gang, robot or a stay at home parent. Doesn't matter what is in the connection. It all gets interpreted as some kind of love and value. Mammalian babies develop and bond with others who provide regular care and attention.Their physical and emotional development will suffer if connection is not provided or is random. They will die from lack of attention. Babies don't have a sense of past or future. They only know the now. Irregardless if their needs are being met memory is starting to build about what love is. Love is becoming conditional when it is not offered as basic nourishment. Emotions can become uncomfortable and unrewarding. There is no difference in our love for a tree or a person or a pet except for the form it may take with different attachments. We might value one more important than another. Yet, at its essence there is no difference just different levels of interaction and actions. 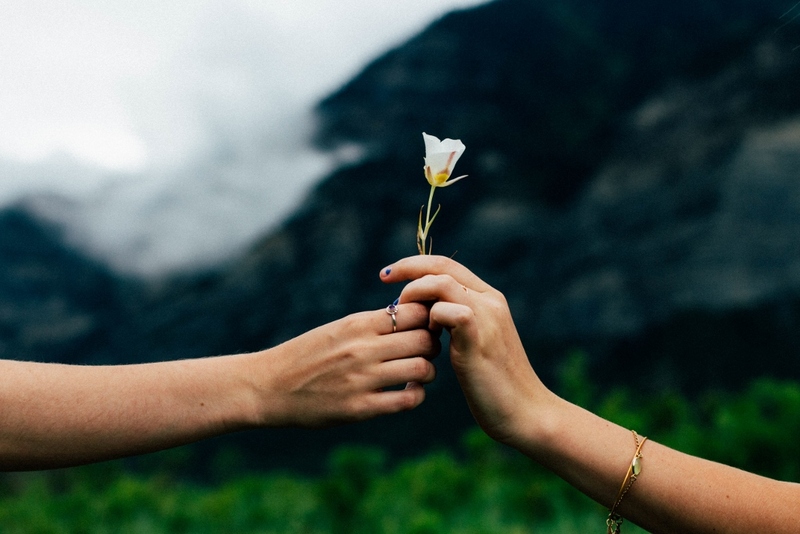 Is there a difference in how you treat your friends and how you treat yourself? For some this was true and eye opening. Are you free to demonstrate love? In some ways safety came up. Love and saving another. Love does not save anyone but we can think that it should or that it makes a difference. Anything can happen in the state of love. Love and actions taken in the name of love are not always congruent. Back to the conditions and compromises. It can all get very confusing what love is and feels like. Behaviors that degrade are not about love but about the lack of love. What if our love is not received or reciprocated? How is that more about you than them? Is love enough? Yes, love is enough. Love allows for differences. Love is beyond our disappointments and considerations that we often mix it into. We can say we love and then hold back. The need to feel connected is so important we are sometimes willing to compromise our safety and well being and call it love. If you hold one another or this planet in deep affection what does that mean? Do you respect, value, cherish, appreciate and hold in high esteem the object of your affections? Notice how you are feeling. Know that what ever has come to mind for you in your awareness as Consciousness is an act of love, of self care. Let yourself release these stored energies, emotions and events into transcendent material. What would it be like to be love? We are certainly experiencing energetic shifting sands these days. We are getting buffeted in many different directions by inner and outer forces. Major ways of how we feel about ourselves internally are getting fresh and new looks at the old stuff. Old events and feelings are being triggered and sometimes released. Here is some help you might enjoy. Last summer I did a podcast interview with Janean Strong Harris. She offers a lively blog and podcast about living well. She is a delight and someone I am happy to call friend. 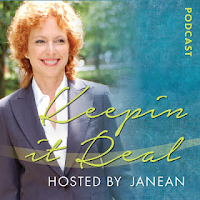 Janean and I talk about the art of the re-frame. We are the human interface of how Consciousness knows itself. Our emotions in our experiences provide frameworks of thinking, our boxes of identity and being, our patterns, our reality states. Our emotions help create and shape our experiences and perceptual biases. The emotion or emotions can make any event a powerful picture of who we are in that moment. Depending on the emotions and the nature of the event those emotional frames can also lock us in and leave us feeling trapped within the picture or pattern. 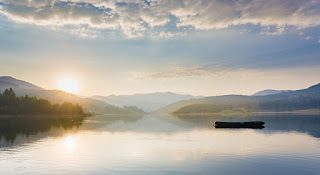 Re-framing is about taking the human emotional content and connection to your story out and just working with the energy patterns present. It is then possible to then let them unfold into something new or different. Consciousness is free to play and evolve as human. It is an invitation to be honest with ourselves. People can really play around with this. We can rationalize and reason in our thinking and that will serve to excuse and justify our reactions and behaviors. How many times did we know something yet fail to make a change when we know why we are behaving or thinking in certain ways? We are not in a state of change. Going into Heart Centered Awareness makes the difference as it is the state of potential. Consciousness has no attachment to outcome. So in this reality state there are no human emotions directing. It is easier to hold awareness of the forces at play. In case you don't have time to listen to the podcast I have outlined some steps to re-framing what might be holding you in positions or patterns that no longer serve. Recognize that you have an issue, a pattern, something not enjoyed or wanted. Denial is a powerful state and not helpful. It helps keep the pattern in place. Or we can be very aware of the pattern and associate it with it never changing. Which is then the state of no change. Access Heart Centered Awareness, Field of Unified Consciousness. This is neutral territory. This is the field of Grace and potential. If the emotional frame is not there what do you notice about your issue? Sometimes there is information or wisdom to be connected to or you might just be in awareness that you don't need the patterns any longer and it can change. Just let the information be present. If it could be different what would that be like? Let the open ended question come to mind. Notice what comes to mind and what is feels like when the state of reality has shifted. Feel the difference. Allow for it to be different. It is important to realize that change and difference can happen that quickly. We can also recreate anything. Register the change. You will feel something different or notice something that was not there before. Might be relaxation or your own unique way of knowing change is happening. Don't think something is different, feel it different. You may be able to articulate it or not. Notice that you are not relating to the issue in the same way.